Zotac mini PC ATOM processor and DOS? I found this item at newegg.com and wanted to ask if FreeDOS or any MS-DOS compatible DOS would be able to accomplish what I'm hoping for. Ooops.... I just noticed the link above is for a VIA chipset and not an ATOM. I thought I saw an Atom version as well. I'll have to look. Anyhow, would a VIA chipset or even an AMD E-350 APU (they have one of these too) work in FreeDOS? Either partition a single hard drive and make a 8 GB DOS partition and then maybe the rest for Linux or Windows XP just in case I may wish to use those on the road. Primarily I'm hoping to make this a DOS system to satisfy my never dying love and enjoyment of DOS. In order for this to work, I'd like to find out about the ability for FreeDOS or any other MS-DOS compatible DOS system's ability to handle the following features of the above PC. 1. Video : HDMI - Would I be able to hook up the unit to my HD TV and have DOS and any DOS programs show up on the TV? Yea, I know DOS won't show in 1080p, etc... The best might be 640x480, but that is fine. I'd like to know if the HDMI port would work through DOS. 1a. Would the video chips work in FreeDOS? I mean would there need to be drivers or would FreeDOS be able to automatically use the video chips so it can play games in VGA/SVGA quality? Obviously, it would depend on whether the game was VGA or SVGA capable. Now that I think of it, how about CGA/EGA games would they be able to display? 2. Will a SATA 2.5" hard drive work? I'll look to get a SATA v1 drive and as small as I can find as I know it won't see a 500GB hard drive fully anyway. I recall 8GB being the largest DOS could see back in the day. 3. RAM. If I was to get a 1GB or 2GB RAM chip for the system would DOS be able to function? I know it probably won't be able to see and use all 1 or 2 GB worth, but at least see 32 or 64MB of that RAM and be able to use it. Is this possible? 3a. Will memory managers like QEMM work in DOS with modern day RAM? Another question... Is something like QEMM still necessary, or does FreeDOS have its own built in memory manager? I think DR-DOS did, but its been so long I can't recall for sure. 4. Will the audio chipset be able to work in DOS? If so what drivers would need to be loaded? Obviously Turtle Beach or Sound Blaster drivers shouldn't work as the audio chipset is neither of those. I hope there is a way to make sound work. 4a. If it is possible to get sound to work, can the sound play over the HDMI port so that the HD TV will display the output and the sound/music from the system? 5. SD/Memory Cardslots : Can DOS see these? I'd love to use my older 2 and 4 GB SD cards to store/transfer apps, games, and data on. Hell, I may even use it as a super cart or something like that. 6. Can USB ports work under FreeDOS, or any other MS-DOS compatible DOS system? I'd be using USB for mouse/keyboard/joystick, and that is about it. 7. Ethernet connectivity. I know in my old 486 I had Ethernet connectivity and I could telnet into BBSes and simulate the good old days of BBS'ing. Can FreeDOS handle this on a PC like the one in the above link? Well, thats all I can think of right now. I know if the above cant happen then there is always DOSbox, but I rather use REAL DOS and not have to bother with an emulator. I wouldn't mind DOSbox so much if it basically emulated a 486 type PC and then allowed you to install your own actual DOS OS and maybe even Win 3.1.1, but I know that is not what DOSbox is. If anyone can help me by answering the above questions, I would truly appreciate it. PS: I just thought of this. If the above won't work, is there a way to install XP or Linux, and then have something like a virtual box within that runs DOS? If so, I'd prefer XP as I'm more familiar with it than Linux, but would it be possible to have the PC boot up and automatically load into DOS without having the user go through XP logging in, and then clicking on an icon to launch the DOS virtual PC? Edited by Draugr, 08 March 2012 - 04:45 AM. 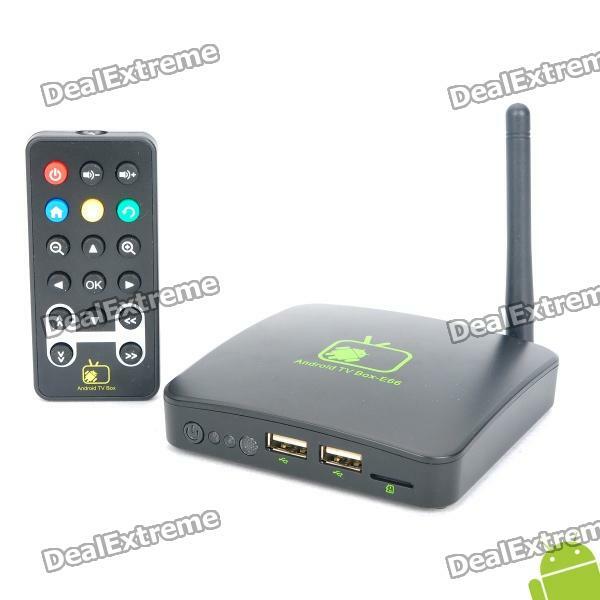 One option is using a ready-made tv box using Android. They cost around 70 USD (shipping included) and comes with 2x USB ports, HDMI, LAN/WIFI and TF card support working fine with the appropriate drivers to connect the joystick, mouse and keyboards without worries. This way you can use it for other emulators as well (SNES, Gameboy, etc) or tasks like browsing the web, skype, seeing some films or youtube clips. I run aDosBox from my android cellphone and the overall experience is very nice (sound works, DOS programs work great) but haven't tried this box nor heavier loading games like Quake and the such. Another option is to save your money and just run DosBox emulator on your Windows PC! You can mount Windows folders or devices to a DOS drive letter. It has sound and graphics support (though I personally have not verified if sound works).